This is connected to our recent post about trusting directions whilst walking on Tenerife. Our friend who commented about our blogs where we followed paths that took us on the road to nowhere said something else interesting that made me think. She commented that we mentioned things that if you’ve spent a lot of time walking around Tenerife’s countryside, you hardly register. She’s absolutely spot on. 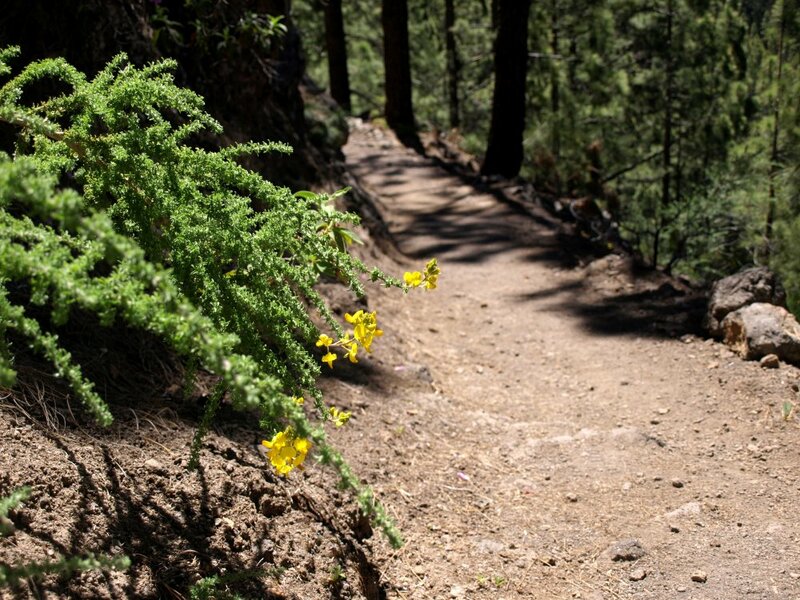 Spend a lot of time hiking on Tenerife and you become very familiar with the island’s little ‘quirks’. When we first started walking on Tenerife, we took a very British approach. We’d follow sign-posted routes religiously – when there was the luxury of a signpost. If a notice warned of a path being closed because of ‘works’ we’d turn back and when there was a yellow and white cross on a path we wouldn’t set a foot past the marker. 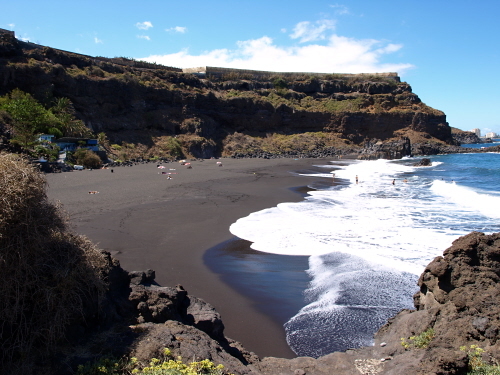 We stuck to the letter of the Tenerife Medio Ambiente law (more guidance than law as it turns out) and on many occasions ended up nowhere where we really wanted to be. Sometimes we had to back track for a couple of hours because a path was closed way into the route without prior notices. Other times we followed official paths that went all around the houses instead of taking the most logical route. 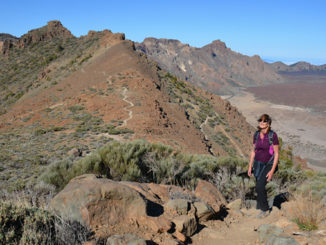 Walking in Tenerife is an absolute joy. As long as you keep away from privately owned land, you can walk almost anywhere without being shouted at (no red faced Welsh farmers here to shake sticks at you here). But you have to be wise to some of the ‘guidance’ that you can encounter on routes. The Medio Ambiente (the dept responsible for looking after the countryside) are constantly improving routes by making paths clearer and putting more signposts in place. This is meant to be helpful…and often it is, but not always. They tend to work on routes in stages, so that means that you can stride out from a shiny new walking route notice board and bright signs pointing in the right direction and find yourself on your own an hour later as they haven’t yet gotten round to putting up signs throughout the actual route. They also have a tendency when creating ‘new’ routes to completely disregard traditional walking routes and try to point you in the direction they want you to go. So you get those crosses that scream out ‘not this way’ on paths that were, and in reality still might be, the right direction. As for the signs blocking paths because there is ‘work’ taking place, that’s a real judgement call. On three recent occasions where we encountered, and ignored these signs, one had no workmen on the path at all and we encountered hikers coming in the opposite direction where the path wasn’t blocked; one wasn’t closed at all, but a recreational area en route was and on the third there wasn’t a workman to be seen, but there was a lot of local farmers collecting pine bedding for their animals from the forest floor. Make of that one what you will. 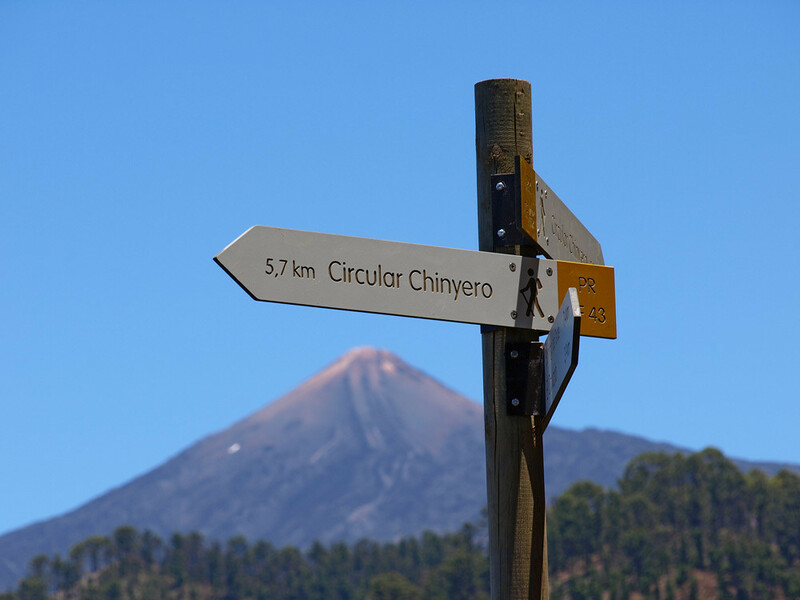 We know Tenerife’ countryside well enough to identify where things just don’t add up and ignore ‘official’ guidance, but if you’re a visitor who isn’t familiar with the island’s little quirks it isn’t quite as easy. But there’s one thing that is important to know and should give you confidence to go with your instincts or even better, up-to-date walking directions. It’s highly unlikely that anyone will ever shout at you for taking a wrong path; they’re just not like that here.